My final song They’ll run with blood. at the opera tonight. at the opera tonight! One more hit for the show! One more hit of the glow! Tonight I set the stage. Tonight we set the stage! All plans are laid. My greatest rage! Reeepo Maaan! Repo Man, come take my eyes. Reeepo Maaan! 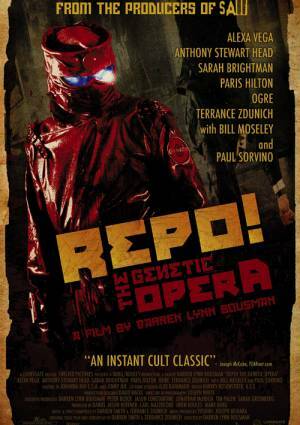 Repo Man, my eyes!